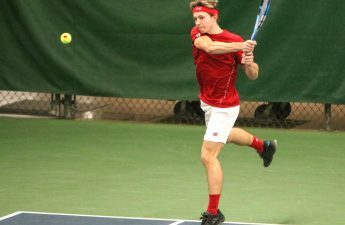 The University of Wisconsin men’s tennis team (8-9, 2-5 Big Ten) fell to Indiana (10-9, 4-3) Friday afternoon before narrowly defeating Purdue (8-10, 1-6) Saturday afternoon to split a weekend series against Big Ten opponents. With the weekend split, Wisconsin moved to 8-4 at home. In the Friday set against Indiana, Wisconsin battled to a tough 5–2 loss despite the continued success of freshman Jared Pratt, who earned his fourth straight individual win after picking up Wisconsin’s lone point in both of last weekend’s losses. Pratt defeated Indiana sophomore Andrew Redding, 1–6, 6–3 and 6–3. Wisconsin’s other point in the loss came from junior Chase Colton, who beat freshman Carson Haskins by set scores of 6–0, 7–6 and 10–8. Following their defeat to Indiana, the Badgers came back Saturday to defeat Purdue by a narrow score of 4–3. Wisconsin won behind the individual efforts of freshman Leonard Soha, sophomore Robert Krill and Pratt, who extended his individual win streak to five. 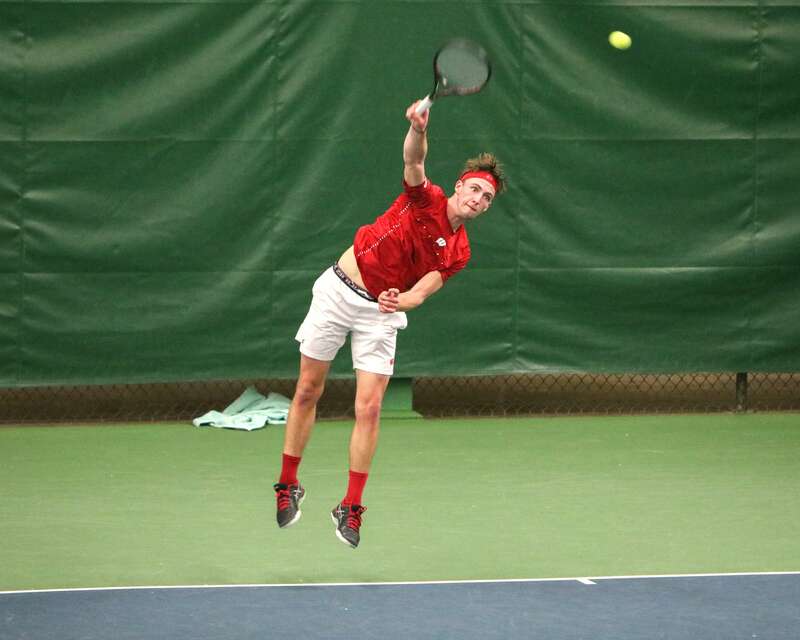 Pratt also teamed up with senior Osgar O’Hoisin for a doubles victory that, paired with a win by the duo of Krill and Colton, gave Wisconsin the deciding point in a competitive day of tennis. The team win marked the end of a six-game losing streak that dated back to the first weekend in March when the Badgers came away victorious against Nebraska. Wisconsin currently sits at ninth out of 12 teams in the Big Ten. With two weekends remaining, the Badgers will be looking for a few more victories before heading into the Big Ten tournament. Wisconsin will face Michigan State and Michigan on the road this Saturday and Sunday, respectively. Both matches start at 12 p.m.